Light Up Box Frame. Design Your Own Light Up Frame. Made In UK. Show off your artwork in a fresh and exciting new way with a bespoke customised light up box frame lamp. This unique product is a hybrid of a framed print and an LED lamp that make your design glow. The light up frame comes with a built-in dimmer switch, so you can adjust the brightness of the light easily. Choose from a matt black or glossy white frame to house your artwork. We have added a stand so you can prop your frame up on any surface that you wish, and the 2m cord allows maximum flexibility. Upload your artwork, flip the switch and see your designs glow. These beautiful customised light up frames will create a unique finish to any room. They are both decorative and functional, as they feature an LED back light for art. This light can be adjusted thanks to the built in dimmer switch, and can also be turned on and off using the same switch. The LED light casts a warming glow and will give new life and definition to your designs, which are printed backing onto the light. The light will actually shine through your print, in a way that you have never seen before. The FSC wooden frame is available in either a smart matt black or a chic glossy white, so you can choose the frame that best suits your design. We use a specialist printing method that creates a long-lasting, full-colour print. The only thing that can make it look better is from the light of the built-in LED light. Our technicians craft the FSC wooden frame by hand, ensuring a highly professional and smooth look. 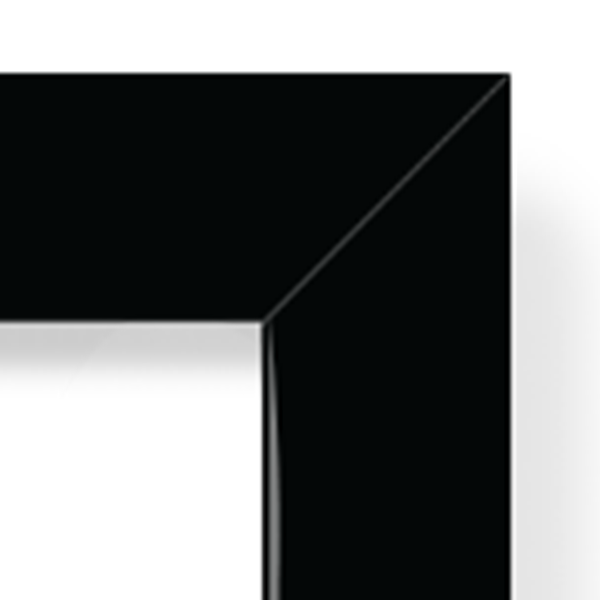 The finish of your choice - matt black or glossy white - is applied to the entire frame. Once your design is printed, it is placed in front of the LED backlight. This is what makes your artwork appear to glow. 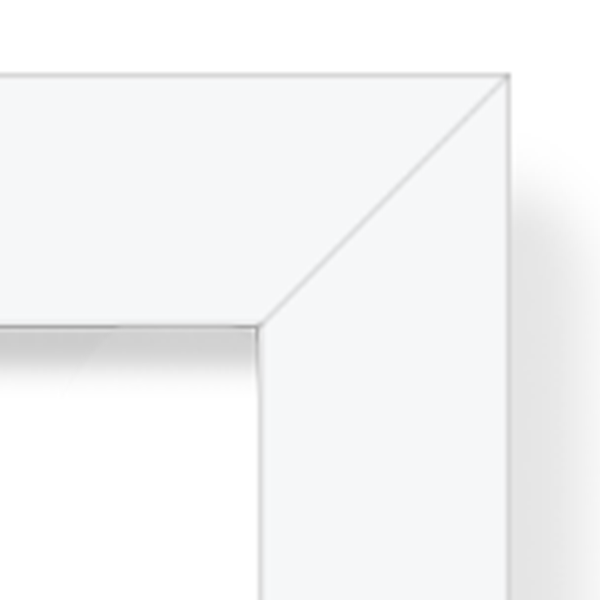 We then add a shatterproof acrylic pane to complete the finish of your frame. This is a highly durable material that has the appearance of glass but is far more hard wearing. On the back of the frame are a stand and a dimmer switch, which is also used to turn the light on and off. A 2m cable with plug is attached to the back. Maintain the look of your custom light up frame and keep your designs nice and vibrant by giving your frame a regular dusting. As with any electrical appliance, keep water away from the plug socket and bulb at all times. If you want to design your own light up box frame, there are a couple of things to keep in mind to get the most out of your frame. Firstly, consider the colour of your frame. We offer a matt black or a glossy white finish. Opt for the colour that will make your artwork pop. We also suggest keeping the size of the frame in mind. The total dimensions are 19 x 19cm with a depth of 3.5cm. The total visible print size is 15 x 15cm. Due to this size, we recommend uploading a single image as opposed to a montage or collage. This is to ensure that all fine lines and details are depicted with total clarity and precision. Up your decor game and incorporate these funky frames into your home. Are you looking to update your child's bedroom? These lights create a big impact and will not only add decoration, but also a comforting night light. Print a design that complements the new look of their room. Maybe include a photo or an inspirational quote or song lyric that they love. They will love the fitted dimmer switch, which gives them control of the strength of the LED light. Enhance hotel, B&B, or holiday cottage bedrooms with these unique customised LED photo frames. They will look particularly striking set within a contemporary room setting. If you own such an establishment, then these frames will not only add extra style and fun, but they can also be used as a branding tool. Create a design that incorporates your establishment's logo. Your guests will be able to enjoy using it as both a piece of art and as a handy bedside lamp. Add an exciting new product to your home furnishing portfolio and create a new line of bespoke light up box frames. These hand-crafted frames are the perfect opportunity to show off your artwork in a new and contemporary way. Print a single design and watch it come alive with light. Opt for a selection of both the black and the white frames to complement your work and give customers the option to choose which one would best suit their home decor. What is the light up box frame made from? Your frame is handmade in London using the finest, high quality materials. We source FSC wood to craft the wooden frames. These are cut to size by skilled technicians before being turned into a chic frame. The pane is made from shatterproof acrylic, which makes it all the more durable. Finally, we use an LED light, dimmer, cord and plug. We print your designs in HD quality. Details and fine lines are printed with absolute clarity, and colours are bold and vibrant. Your designs will look even more powerful when they are lit up from behind by the LED back light. Suddenly, details are more defined and colours are given more life. Try it for yourself and see. Does the light up frame stand up on its own? This stylish customised light up box frame looks beautiful when placed on a bedside table, desk or side table. In order to ensure it stands its own, we have created a handy little stand at the back of the frame. This will allow you to prop it up sturdily in the place of your choosing. Wherever it is, we guarantee it will make a statement. Light up your world with a designer box frame. Fitted with an LED light, these frames feature artwork made by our #ContradoCreatives.